ISLAMABAD: The seventh meeting of leaders of parliamentary parties held in Islamabad today (Friday) ended without making any decision regarding revival of military courts for terrorism-related cases. Speaker National Assembly Sardar Ayaz Sadiq chaired the meeting which was attended by Syed Naved Qamar, Federal Law Minister Zahid Hamid, Federal Finance Minister Ishaq Dar, PTI’s Shireen Mazari, Usman Kakar, Mushahid Ullah Khan and others. Yesterday, Pakistan People’s Party (PPP) decided to end its boycott of the committee, but the deadlock still persists as opposition parties did not agree to extend unconditional support to the government’s proposed draft of the constitution amendment bill. Officials said the matter has against been referred to a sub-committee headed by minister Zahid Hamid. In the meeting, chaired by Minister for Law and Justice Zahid Hamid, the government agreed to revise its demand for a three-year period for military courts down to two. 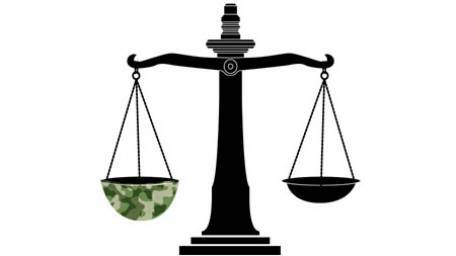 “If all parties agree, military courts can be revived for a period of two years [instead of three],” Hamid said. However, the opposition was not immediately forthcoming with an agreement. “The proposal will be presented to our party leadership for approval,” PPP MNA Naveed Qamar said. “The PPP is intent on calling an all-parties conference to discuss military courts and the constitutional amendments proposed by the government,” Qamar added. In the revision process, the government also added clauses to put anti-state activities within the purview of military courts. “Anti-state activities and violent acts against the state have been included in our proposal,” Hamid clarified. “The proposed amendments, along with a bill regarding necessary amendments to the Pakistan Army Act, will be sent to parliamentary leaders,” the law minister said. “Parliamentary leaders will present their views on these issues in the Feb 28 session of parliament after consulting with their party leaders,” he added. The opposition parties basically have objections to the government’s move to amend Article 175(3) of the Constitution which had allowed the military courts to hold trial of persons “belonging to any terrorist group or organisation using the name of religion or a sect”. In the new draft, the government has removed the words “using the name of religion or sect”, creating apprehensions among political parties that the law could be used against them for political victimisation”. Sub-committee constituted: Meanwhile, National Assembly Speaker Sardar Ayaz Sadiq Friday constituted a sub-committee to deliberate on constitutional amendment about military courts. Talking to a group of reporters after chairing the meeting of parliamentary leaders on the matter of extension to military courts, the speaker said the sub-committee would evolve a consensus on the constitutional amendment about military courts. The meeting was also attended by the leaders of major political parties. Ayaz Sadiq said the sub-committee had been expanded further with induction of Senator Saif Ullah and Senator Talha Mahmood. Pakistan People’s Party (PPP) leader Naveed Qamar, while talking to media persons, said the PPP attended the meeting on assurance of the government. “We will support the issue after removal of our reservations” he said, adding that the final decision about extension for military courts would be taken by the party leadership. Where is Raza Rabbani, he was crying last time when army courts were established 2 years ago, but never seen Raza Rabbani crying for People of Pakistan when they die in bomb blasts. These politicians are criminals corrupt and work against the country. These politicians should be poisoned in parliament and throw their dead bodies in gutters.